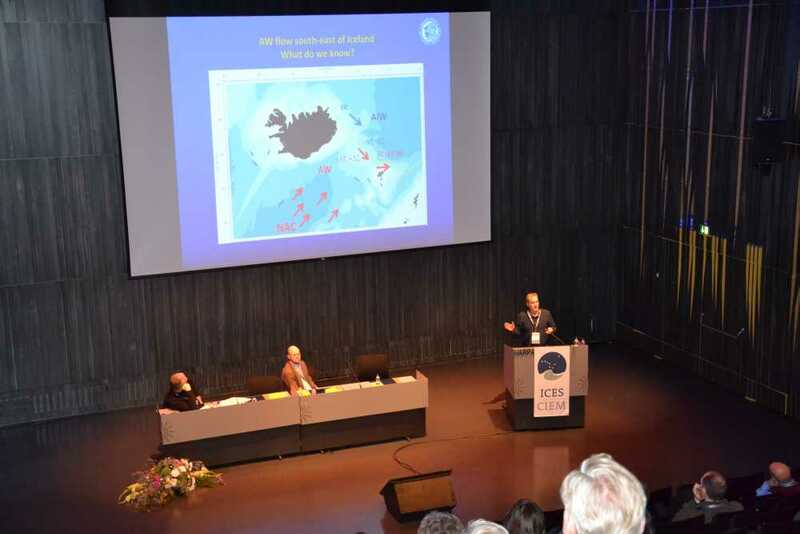 The ICES Annual Science Conference 2013 is being held in Harpa Conference Centre, Reykjavik, Iceland. Below you can view abstracts for presentations and posters that MARICE members are contributing to the conference. A selection of posters are available to view at the bottom of the page, just click on the image to bring up the pdf. Enjoy! Kai Logemann, Jón Ólafsson, Árni Snorrason, Guðrún Marteinsdóttir. The South Icelandic Current. Presentation, theme session L.
Pamela J. Woods, Dan S. Holland, André Punt, and Guðrún Marteinsdóttir. Catch-­‐‑ quota Balancing Regulations in the Icelandic Multi-­‐‑species Demersal Fishery: Are they useful for advancing Ecosystem-­‐‑based Management? Presentation, theme session H.
Jed I. Macdonald, Jessica H. Farley, Naomi P. Clear, Ashley J. Williams, Thor I. Carter, Campbell R. Davies, Simon J. Nicol. Insights into mixing and movement of albacore Thunnus alalunga derived from trace elements in otoliths. Presentation, theme session O.
Elzbieta Baranowska, Jónas Páll Jónasson, Björn Gunnarsson and Guðrún Marteinsdóttir. Nursery ground processes for juvenile plaice (Pleuronectes platessa) in Icelandic waters. Poster, theme session K.
Hlynur Bárðarson, Bruce McAdam, Gróa Pétursdóttir, Guðrún Marteinsdóttir. Reassembling broken otoliths for population discrimination. Poster, theme session L.
Jed Macdonald, Þorsteinn Sigurðursson, Kai Logemann, Guðrún Marteinsdottir. Uncovering the biophysical forces shaping marine fish distributions. Poster, theme session K.
Kristín Ágústsdóttir, Kristinn Guðmundsson, Hafsteinn Guðfinnsson, Guðrún Marteinsdóttir. Comparison of observed and remotely sensed chlorophyll in Icelandic waters. 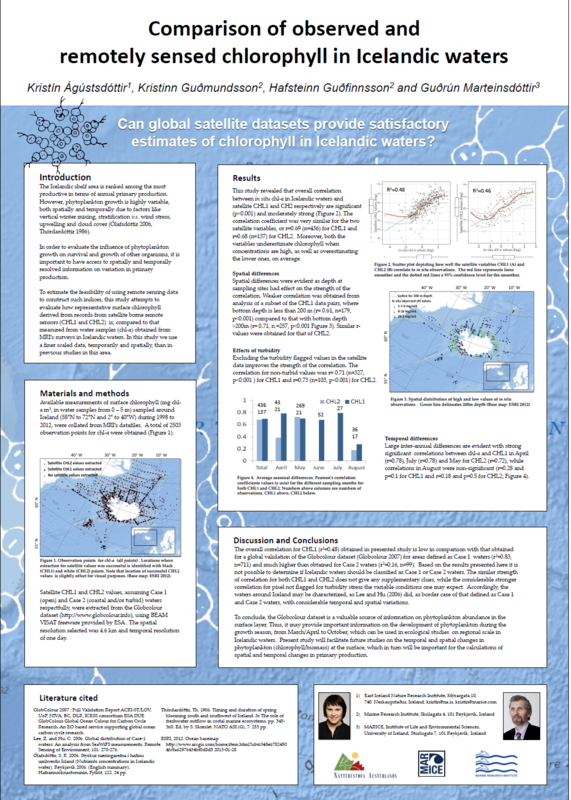 Poster, theme session G.
Teresa Silva, Astthor Gislason, Priscilla Licandro, Gudrun Marteinsdottir, Olafur S. Astthorsson. 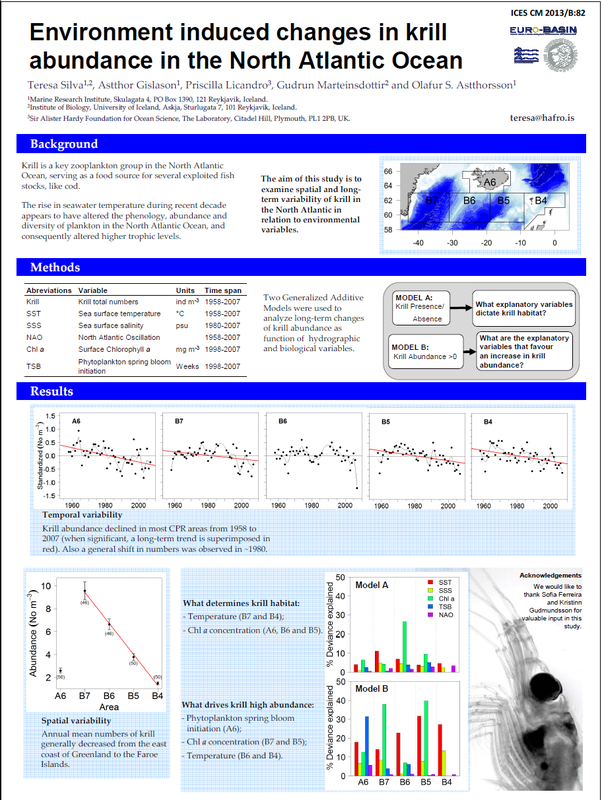 Environment induced changes in krill abundance in the North Atlantic Ocean. 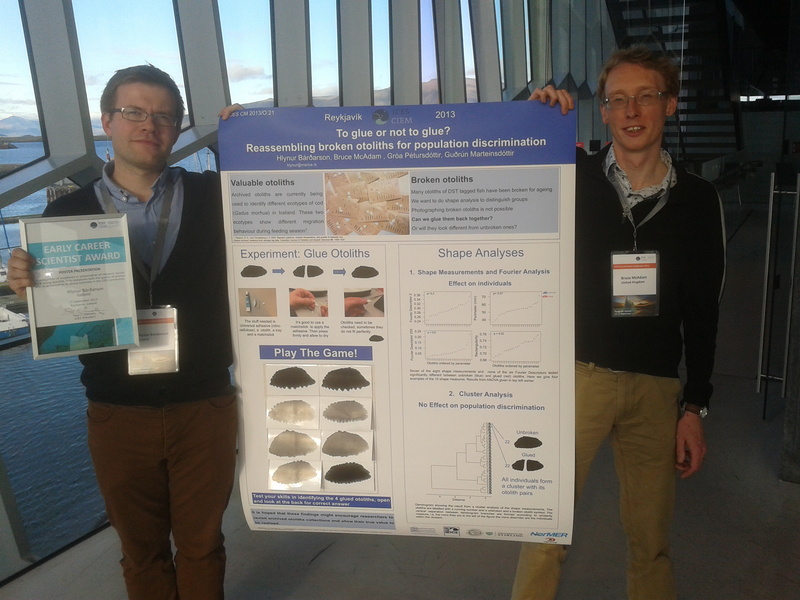 Poster, theme session B.
Viðar Engilbertsson, Guðmundur J. Óskarsson and Guðrún Marteinsdóttir. Inter-­‐‑annual Variation in Fat Content of the Icelandic Capelin (Mallotus villosus). 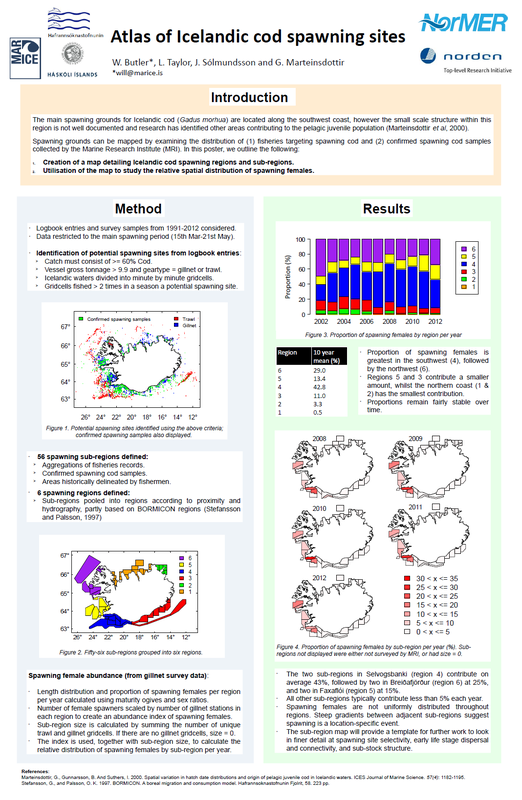 Poster, theme session N.
Butler, W.E., Taylor, L., Sólmundsson, J., Marteinsdóttir, G. Atlas of Icelandic cod spawning sites. Poster, theme session L.